Published: May 10, 2014 at 03:50 p.m. 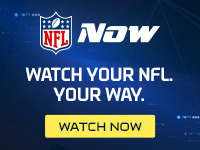 Updated: May 11, 2014 at 01:57 a.m.
A lot of folks believed the Tennessee Titans could draft a quarterback early to challenge Jake Locker for the starting job this season. Tennessee passed on Johnny Manziel in the first round. They were set to take Derek Carr in the second round according to NFL Media Insider Ian Rapoport, but the Raiders nabbed Carr. In Round 6, it was finally time. LSU's Zach Mettenberger finally saw his draft slide end when the Titans grabbed him with the No. 178 overall pick of the NFL draft. Mettenberger has struggled with a back issue and is coming off a torn ACL. He also faced plenty of off-field questions. While he has an impressive release and skill set, many scouts thought he was the reason LSU lost a lot of big games in the last two years. Mettenberger believed that he matured plenty in college, but NFL teams were ultimately scared away. With that said, he's in a good position for a sixth-round pick. Jake Locker's contract ends in 2014 and the Titans are unsure if Locker is their guy long-term. Charlie Whitehurst is in place, but he's a career backup. New coach Ken Whisenhunt does well coaching up quarterbacks of all shapes and sizes, and Whiz now has an investment in Mettenberger. It's not about where you are drafted; it's often about the opportunity when you get there. Mettenberger is at least in a spot to make some noise. The "Around The League Podcast" wraps up the draft by picking our winners and losers.